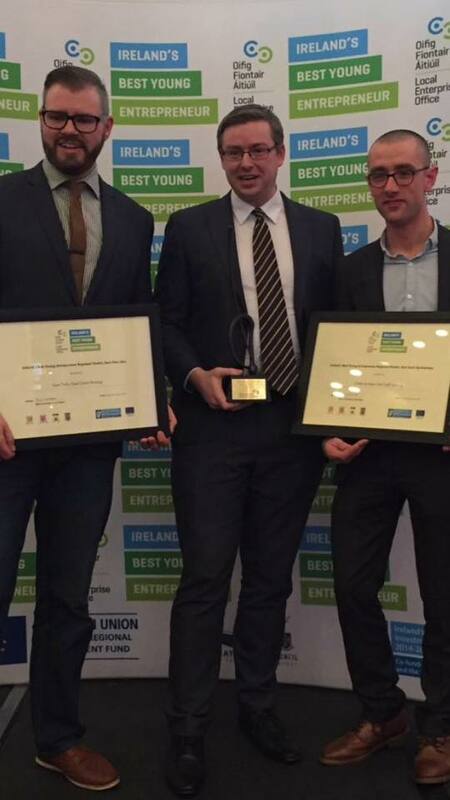 Well, as plenty of you who follow us on Facebook/Twitter/Instagram will know, we’ve spent a very enjoyable few months being a part of a fantastic initiative called Ireland’s Best Young Entrepreneur. In Westmeath, we were in the company of the best businesses the county had to offer. The entire journey from start to finish (more on the finish soon) was incredible. As anyone who has been forced to spend any amount of time with me recently will know, the driving force behind the competition in these parts are the Westmeath Local Enterprise Office based in Mullingar. A more enthusiastic, encouraging and engaged public service office I have never had the pleasure to deal with. Knowing there are scores of people willing you on and ready to help in any way they possibly can is an immeasurable support. I’m very lucky to be involved with all the crew in the LEO in Westmeath. Now – back to the competition. We were ecstatic to win out the Best Business Idea category in the county and be put forward to the regionals. The prize money is also a very big plus for Dead Centre. It’s no secret that margins in craft brewing are small, but margins in contract brewing are even lower, so a capital injection like this guarantees we can push forward with the ambitious plans we have for the brewery. 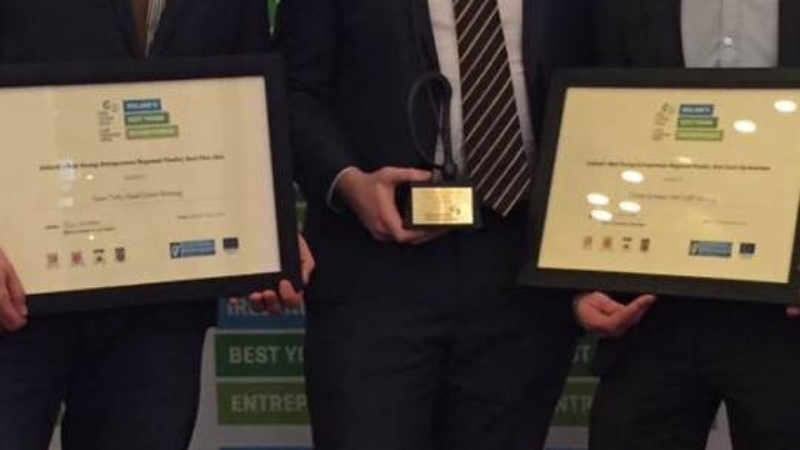 We presented to a select panel of judges in the Local Enterprise Office in Kildare last week and were really happy with the presentation and the questions which followed…but we knew we were facing into an uphill battle being in a category alongside some genuinely impressive business ideas. Yesterday, we received our Regional Award at a ceremony in The Osprey Hotel in Naas, Co. Kildare – but unfortunately, we won’t be moving on to Nationals. That honor goes to the guys at Access Earth. Silver lining though. The sound men in Irish Craft Canning took home an invite to Nationals and will be flying the Westmeath flag in Google offices on March 4th. If I can wrangle the day off work…I’ll be there to cheer them on!